Keep in the fridge for 30minutes and then serve. 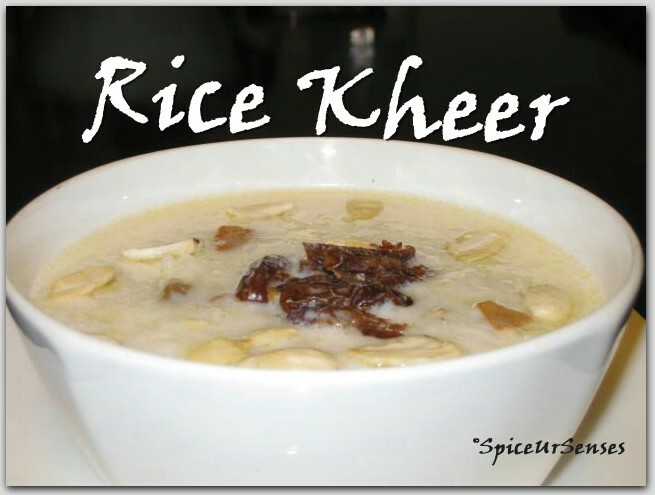 I love Rice Kheer... i cook this kheer twice in a month. looks very good. Looks so delicious !!! First time here !! You have a good collection of recipes !! First time here dear. You have a nice space here. The rice kheer is so tempting. Lovely click! Wat a delectable rice kheer Rumana, am drooling here..
Ilove kheer, simple yet such aroyal dessert.Nice click too.Thanks for dropping by simplyfood.Your visit and comments are very much appreciated. Awesome looking kheer. Loved the rich color.